Clients often ask me which developers’ offerings should they consider when looking for a property in Bangkok. Sansiri would often come up as a viable option for buyers as they have a presence in their major markets. 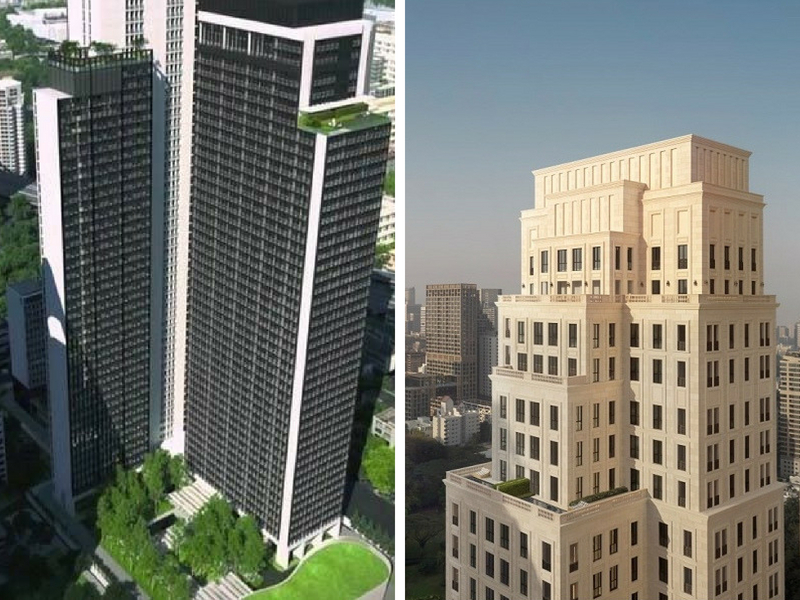 Sansiri’s offices span cities like Hong Kong, Shanghai and Singapore to name a few. 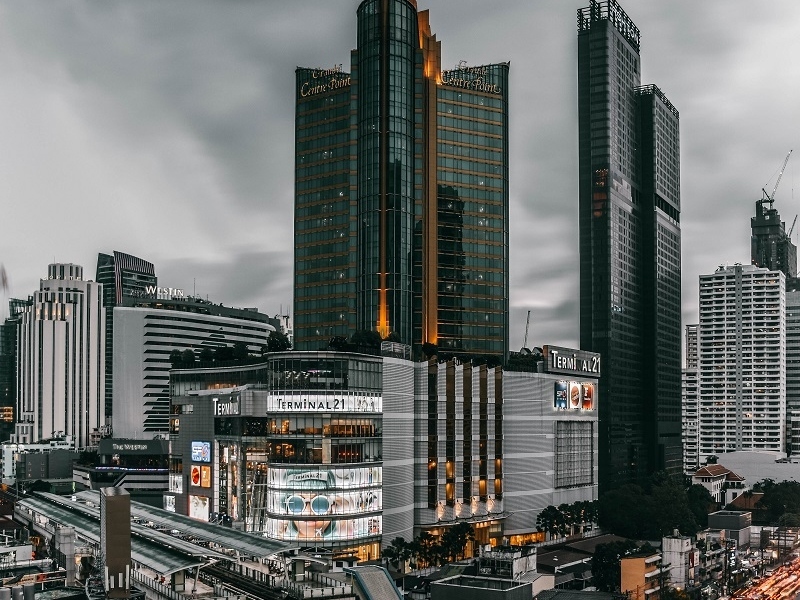 To set the record straight, Sansiri is not the largest developer in terms of market capitalisation on the Stock Exchange of Thailand (SET) but it is listed on the SET and perhaps among the top 10 developers in Thailand. In fact, the largest developers in Thailand are not aggressive in the overseas markets. What I do favour about Sansiri is them having sales representatives in various regions as well as having their correspondences and contracts provided for in English. 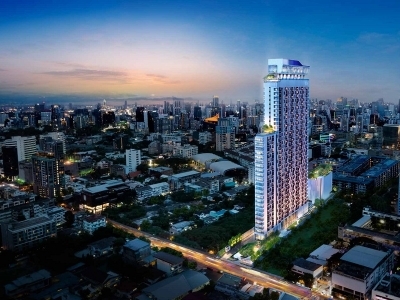 Recent condominium developments in Bangkok have had standards cranked up a couple of notches. The innovation which developers in Bangkok have come up with have been rather creative but I personally think that this series of developments by Sansiri is one of the most unique on offer. XT Phayathai is a freehold development about 700 metres from Phayathai BTS and Airport Rail Link. There is an old building that is sitting on the plot of land and it will be demolished before construction on XT Phayathai will start. The size of the plot of land is approximately 3 Rai and XT Phayathai will consist of 1 residential building with 2 towers. Tower 1 will be 41 storeys tall and Tower B will be 37 storeys tall. The total number of units will be 1435 and the development is expected to be completed in 2023. There will be 1 and 2 bedroom units in the development. 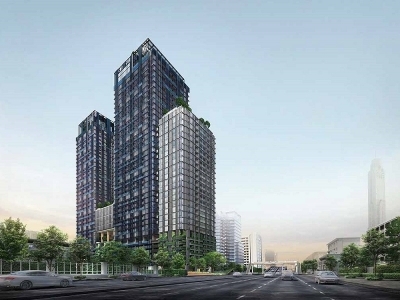 XT Huai Khwang is a freehold development just next to Huai Khwang MRT Station. The size of the land is approximately 6 Rai and the development will consist of 1 building with 2 towers. Tower A will consist of 43 storeys and Tower B will have 14 storeys. The total number of units in XT Huai Khwang is 1405 and the development is expected to be completed in 2021. XT Ekkamai is a freehold development located along Sukhumvit Soi 63, just north of the junction of Sukhumvit Soi 63 and Thong Lor Soi 10. The size of the land is approximately 2 Rai and will consist of 1 residential building of 38 storeys and 1 mechanical building with 9 storeys and 3 levels of basement. The total number of units is 537 and the development is expected to be completed in 2020. 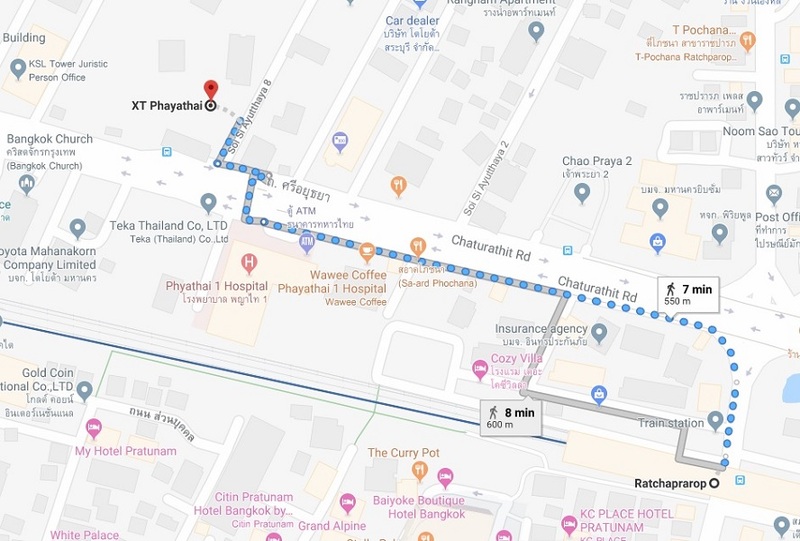 XT Phayathai is located along Sri Ayutthaya Road and is about 700 metres of 9 minutes walk to Phayathai BTS Station and Phayathai Airport Rail Link. Phayathai BTS is 2 BTS Stations away from Siam BTS Station which is where popular tourist shopping malls like Siam Paragon and Siam Discovery are located. The surrounding area around XT Phayathai is filled with government offices, schools and tuition centres. 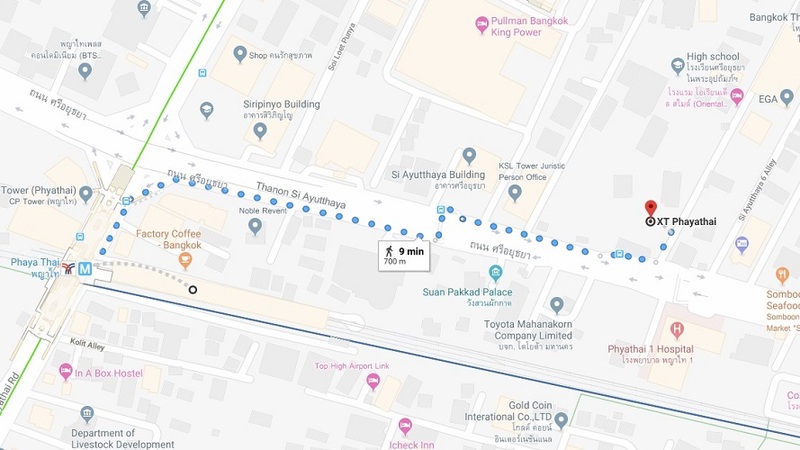 Just opposite the road is Phayathai 1 Hospital and about half of the journey to Phayathai BTS is Pullman Bangkok King Power Hotel. XT Phayathai is a very nice residential area that is situated just at the fringe of the main Bangkok shopping belt. If you land in Suvarnabhumi Airport, you can take the Airport Rail Link directly from the airport to Phayathai Airport Rail Link or alternatively you can stop at Ratchaprarop Airport Rail Link and walk to XT Phayathai. The walk is slighly shorter, approximately 600 metres and will take 8 minutes. Phayathai is already an interchange between the Airport Rail Link and The BTS Line. In future, there will be a light red line which will pass through Phayathai Interchange. 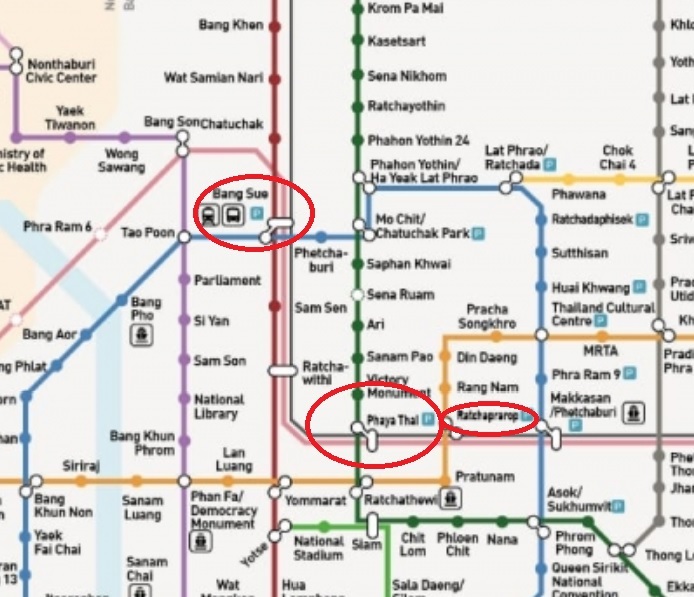 This Light-Red Line will bring commuters to the Bang Sue Grand Station. XT Huai Khwang is located right next to Huai Khwang MRT Station. Once you come out of the MRT Station, the condominium is located next to it. It should take a minute or less to get to the condominium. Huai Khwang MRT Station is located one stop from Thailand Cultural Centre MRT Station and two stops from Rama 9 or Phra Ram 9 MRT Station. Thailand Cultural Centre is where the Stock Exchange of Thailand is located and will be the interchange between the Blue MRT Line and the upcoming Orange Line. 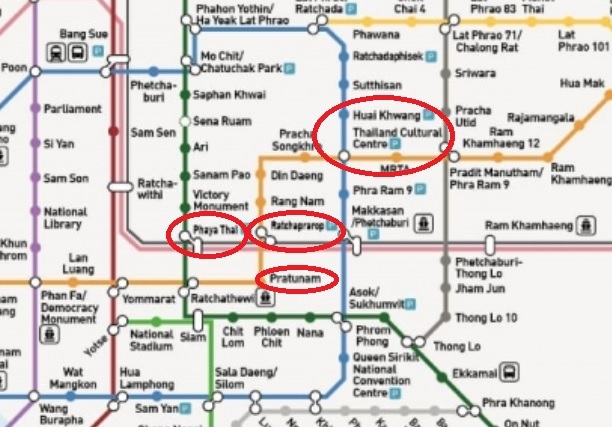 The Orange Line will have stations at Pratunam and Ratchathewi which is one BTS Station away from Siam BTS. XT Ekkamai is located just around the corner from where Thong Lor Soi 10 is. It is located one street away from Sukhumvit Soi 55 which is where many popular dining establishments and high-end hotels and community malls are located. Properties along Sukhumvit Soi 55 are extremely expensive and are very popular among the expatriate community in Bangkok. 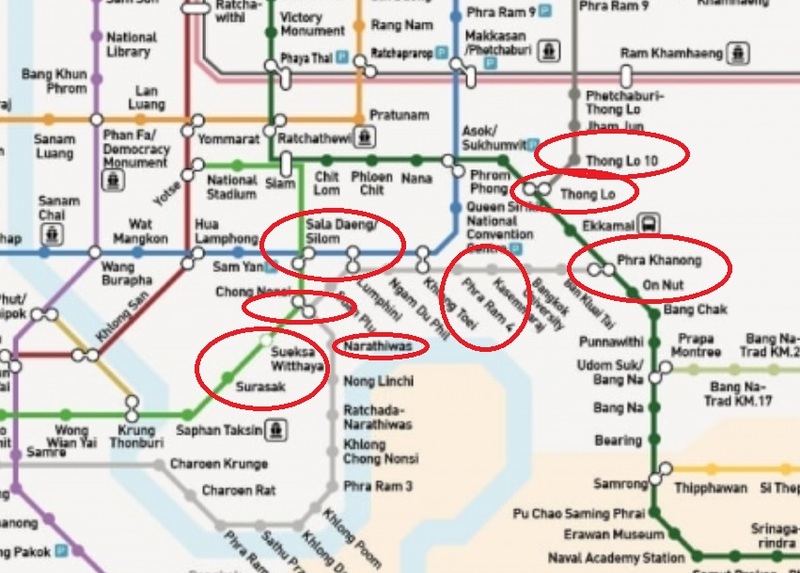 In future, there will be a Grey train line that will have a station named Thong Lo 10. It should be located along Thong Lor Soi 10 and XT Ekkamai is located very close to Thong Lor Soi 10. The Grey Line, even though work has yet to commence and is still in its planning stage, is essential to bringing residents from Thong Lor, Ekkamai, Phra Khanong and On Nut to the Sathorn Financial District. I mentioned earlier that these developments by Sansiri had something unique on offer and to me, this will be one of the key selling points of the developments. 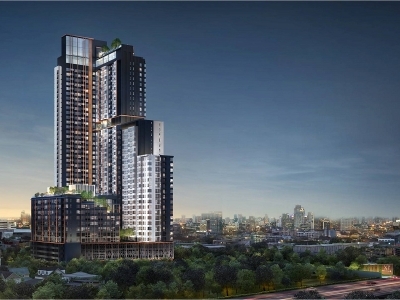 Granted that the number of new project launches in Bangkok is high, Sansiri has come up with quite a novel concept for their XT series of developments. Owning a condominium under the XT series will allow you access to the co-sharing facilities of other condominiums in the XT series. For example, if a buyer bought a unit at XT Phayathai, he could go to XT Ekkamai or XT Huai Khwang and use the shared facilities there. Some examples of the co-sharing facilities are co-working and play space, photo studios, cooking studios, arts and crafts studios. Sansiri is trying to redefine the concept of owning a condominium. They are making it seem like buyers are joining a club. This is on top of buyers already gaining access to Sansiri’s VIP lounge at Siam Paragon for Sansiri family members. The next selling point would be the location of these developments. All three are located in prime locations. 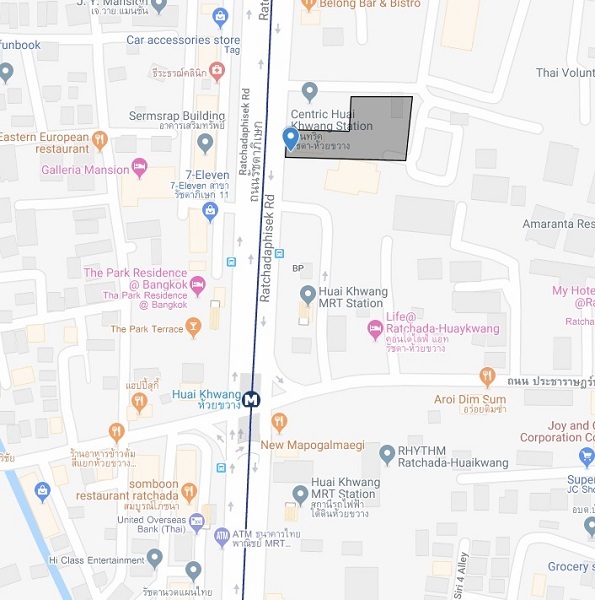 XT Phayathai is near Phayathai BTS which is 2 BTS stations away from Siam BTS and thus is very centrally located in Bangkok. 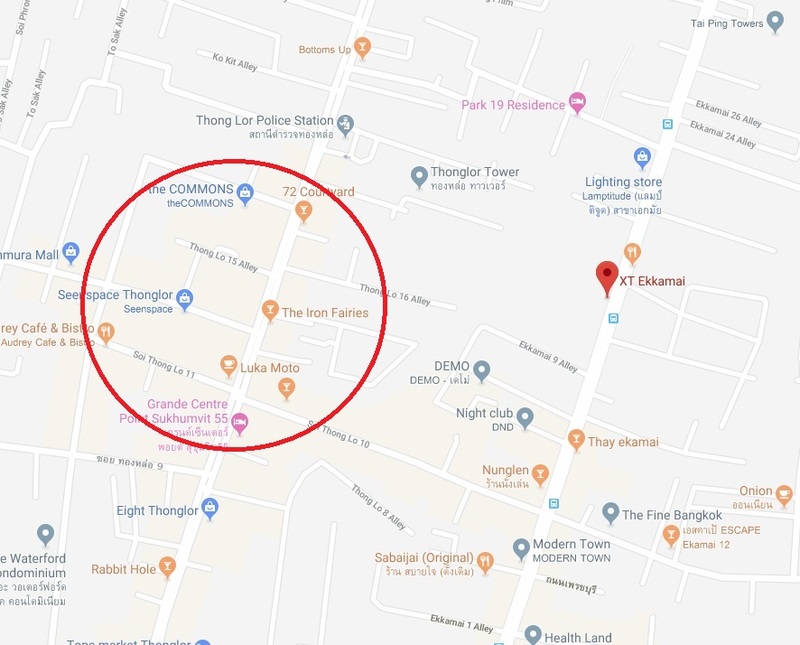 XT Huai Khwang is located on the fringes of Rama 9, the new Central Business District (CBD) of Bangkok and XT Ekkamai is located in Ekkamai and close to the portion of Thong Lor where expatriates and wealthy Thais frequent. All 3 will benefit from the upcoming improvements and expansion of Bangkok’s rail network. Price wise, considering the neighbouring developments and the fact that these developments are developed by Sansiri, is rather reasonable. XT Phayathai is priced at approximately THB 168,000 per square meter, XT Huai Khwang is about THB 165,000 per square meter and XT Ekkamai is at about THB 185,000 per square meter. 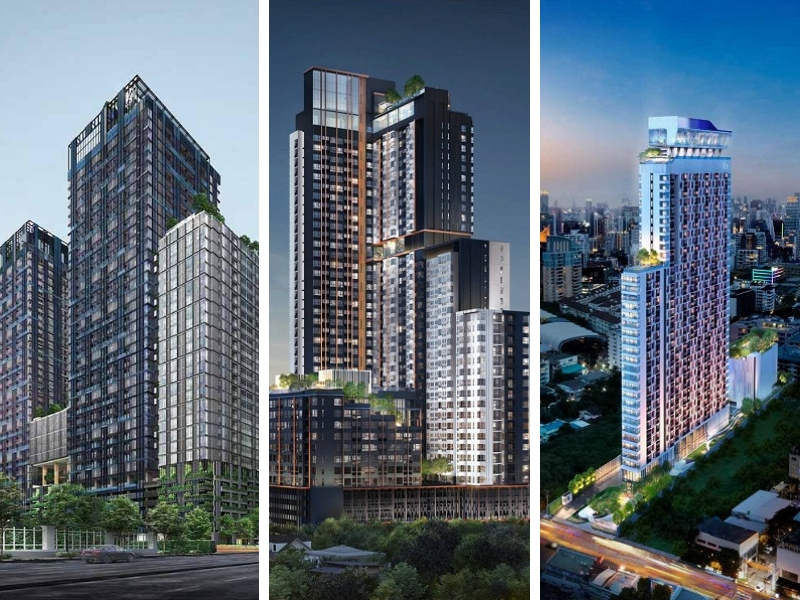 Out of the 3, I do think that XT Phayathai’s pricing is rather attractive considering that competing new project launches in the area are going for about double that price per square meter. I did rank XT Phayathai very favourably in my 2018 Bangkok Property Market Review. I do think that the mock-up units at the sales galleries are a little gaudy. I do think that even though the XT series are targeted at millennials, they could have done better with the choice of colour. Out of the 3, I favour XT Phayathai for the location and pricing. If buyers are looking for something next to the MRT Station then XT Huai Khwang would be it. XT Ekkamai would appeal to those who are familiar with the Ekkamai and Thong Lor area. For buyers looking at XT Phayathai and XT Ekkamai, they need to be aware that these are very large developments with 1,435 and 1,405 units respectively. Buyers need to select the right units in the developments to give them a better chance of renting or reselling in the future. Many buyers neglect the fact that they have to select the right unit in a new project launch and in many instances, this may be more important than selecting the right development. Units with unique selling points, good facing, away from road noise and units on levels with easy access to facilities are just some of the things that buyers should take note of when selecting a unit. This is even more important when there are more than 1,400 units in a development. I find it very reasonably priced. Units are generally priced at around THB 180,000 per square meter for a mid-level unit. A 1-bedroom unit in the area currently rents for approximately THB 25,000 onwards. I would give it a higher score if it were nearer to the train station. However, once you get to Phayathai BTS and Airport Rail Link, you are located about 5 minutes to Siam BTS which is 2 BTS stops away. You are also on the Airport Rail Link which leads you to Suvarnabhumi Airport. Sansiri’s quality is undeniable. However, I am rather perplexed at the design choices of the whole XT series. However, XT Phayathai’s colour scheme is the best out of the 3. You can view videos of the sales gallery in the links below to understand what I mean. Prices in this area have been climbing but Sansiri’s offering is priced at a slight premium as compared to other developments in the area. This, however, is right next to the MRT station. You cannot get any closer to the train station than this. Huai Khwang is turning out to be the next Chinatown. This area is very popular with the Chinese and it is one station away from Thailand Cultural Centre MRT Station, which is where the Stock Exchange of Thailand is located. That particular MRT Station will also be an interchange with the upcoming Orange Line. Once again it is from Sansiri. I am giving the same score to all three developments. The quality is undeniable but I am just not too impressed by the choice of colour schemes chosen. Just a couple of metres away and you will reach Thong Lor Soi 10. Prices there are significantly higher than those at XT Ekkamai. It is Ekkamai and Thong Lor. This is where the affluent Thais and a large part of the expatriate community likes to frequent and live in. You will get a large number of Japanese looking for properties in this area. Granted that the Ekkamai BTS Station is a distance away but this area is still hotly sought after. There is a huge Don Don Donki Mall coming up just around the corner. The future Grey Line will have a station at Thong Lor Soi 10. I am inferring this from the station’s name, Thong Lo 10. The Grey Line is still in its planning stage but I do believe the line is essential as it gets commuters from this area to the Sathorn Financial District, thus alleviating the huge congestion on the current lines during peak hours. This rating is the same for all 3 developments. p.s.Disclaimer: I am a licensed real estate salesperson at the point of writing this review. My real estate agency in Singapore is the marketing agency for all 3 developments. I also run a real estate company in Bangkok and we are marketing Sansiri’s developments. Sansiri is one of the developers which our company is working with. I maintain a web portal InvestBangkokProperty.com where we list the various new project launches in Bangkok. The purpose of this review is to provide my thoughts and insights for buyers looking to invest in these developments.